I’ve started and stopped numerous blogs in the last several weeks. My head hasn’t been clear enough to write. I’ve been scattered brained, busy, and tired. Part of my job, maybe even one of the most important parts of it is to write and be creative with worship and sermons, I’ve diverted my energy into that. I’ve spent my energy with my children. I’ve spent my energy in prayer and reflection. It’s been a good use of my energy. There’s so many thoughts I have, I try to write, but honestly, judgement has overshadowed them. As I begin I hear, “What will people think, what will so-and-so think, I can’t say that that way.” I begin to type and immediately delete. This, of course, is against every writer’s advice. 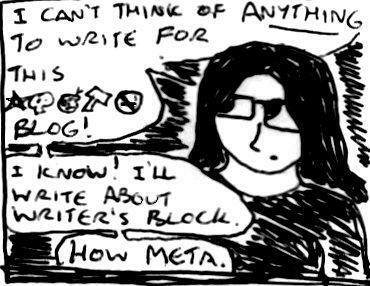 Every writer has ever said, just keep writing through the block, keep writing. But it doesn’t work that way for me. I don’t produce multiple drafts. When a sermon is good, I actually have no idea what I said, when a blog post or any article comes it just “flows” and I actually have to re-read it several times to even remember what I said. I have never seen myself as a writer, I am a talker, there is no doubt, and I am a thinker. My writing is conversational. A one sided conversation, but I write the way I would talk to you. In seminary I was criticized that my writings wasn’t “academic enough”. I took it as a complement. “With what I’m going to do, that’s a good thing.” I said. Some people write to unblock their issues, to clear their mind, to solve the problem. I write after I have solved the problem, after I’ve unblocked, my mind must be clear in order for my thoughts to stream forth, they are post-thought, if you will. I talk through them, think through them, listen to music, watch tv, I dream to process. I have had a lot of dreams and not a lot to say for a while now. I am blocked by the disease of “too much”. I get lost in writing, I get lost in preaching, I get lost in conversation the way others get lost in a good book. It’s how I connect with myself, lately my mind has been full of other’s voices, other’s thoughts, other’s judgements. I haven’t been post-thought for a while. So here it is, a post about not being able to post. If you’re one of the few crazy people who look forward to my blogs, I recommend Netflix, or the crips air that comes with the beginning of fall. As for me, I’m going to continue to clear my head. There’s an Alabama Shakes concert tonight, if you’re going… I’ll see you there.